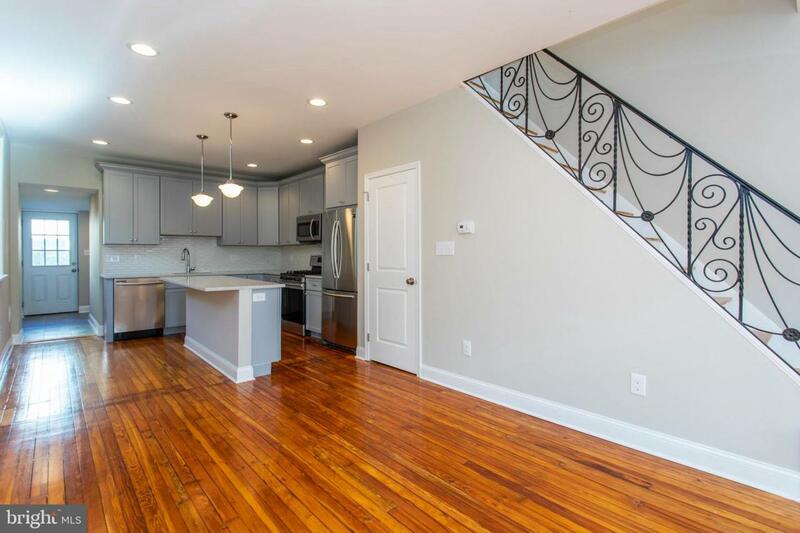 This 3 bedroom / 2 bathroom gem in the heart of Port Richmond. The property was tastefully renovated from top to bottom, including all new mechanics, windows, plumbing, electrical & roof. 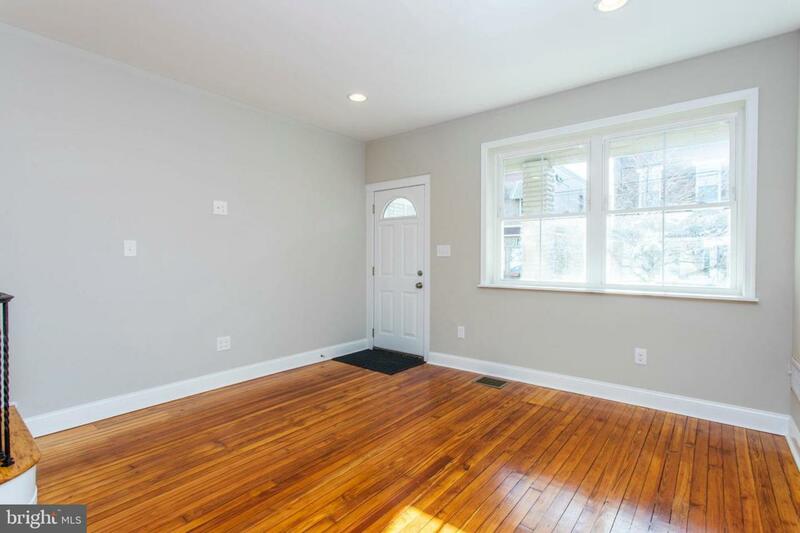 Beautiful original refinished Pine hardwood floors and high hats lighting throughout. The first floor boasts an open floor plan with living & dining room, with a fantastic kitchen. The kitchen features level 4 quartz counter tops with tile back splash, stainless steel appliances and large island with sleek pendants hanging from above. 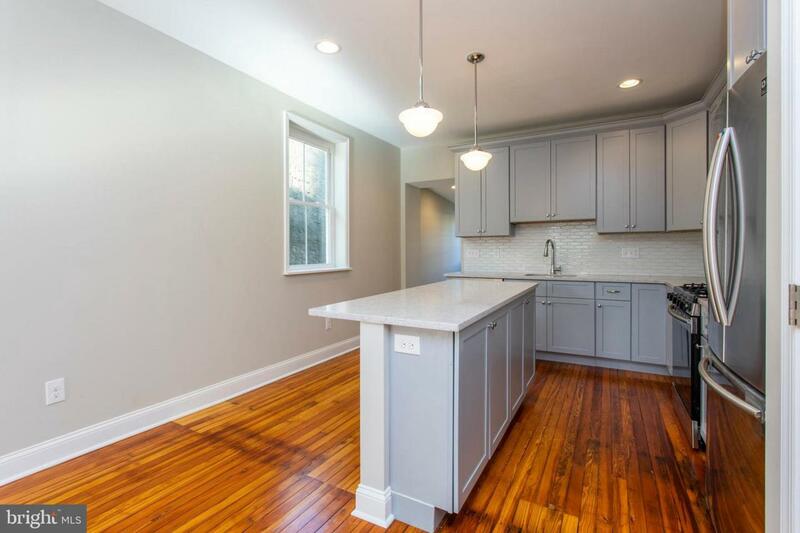 Ample counter & cabinet space. 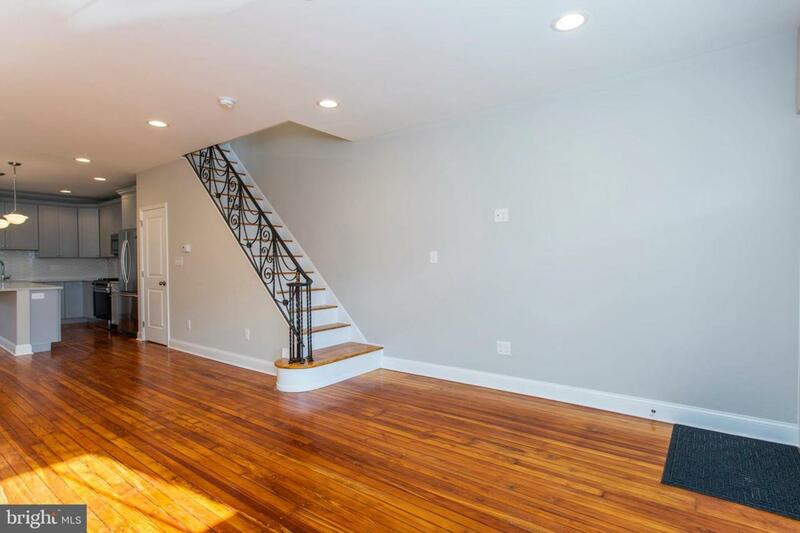 Also, take advantage of the full bathroom and laundry room in the first floor rear. From the backdoor, access your private yard which also includes a full length side yard. The second floor consists of 3 bedrooms all with great closets, and a main hallway bathroom. The basement is finished, and also includes a utility/storage area towards the rear. Enjoy evenings on your front porch. Approved full 10 year tax abatement! Take advantage of having Mercer St. Cafe, Frank Glavin playground & Campbell Square all half a block away. Easy access to all public transportation and I-95.